In her presentation at the Gartner Enterprise Information and Master Data Management Summit 2014 in Las Vegas, Jill Dyché of SAS talked about why so many data initiatives fizzle, and what successful companies do differently. When is the right time to consider a chief data officer? 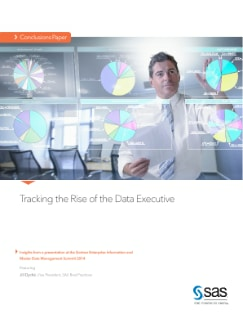 How can you stimulate executive interest in data management capabilities? Should you quantify the value of your data, and if so, how? Dyché tackled these topics in front of a large audience with her customary wit and candor.